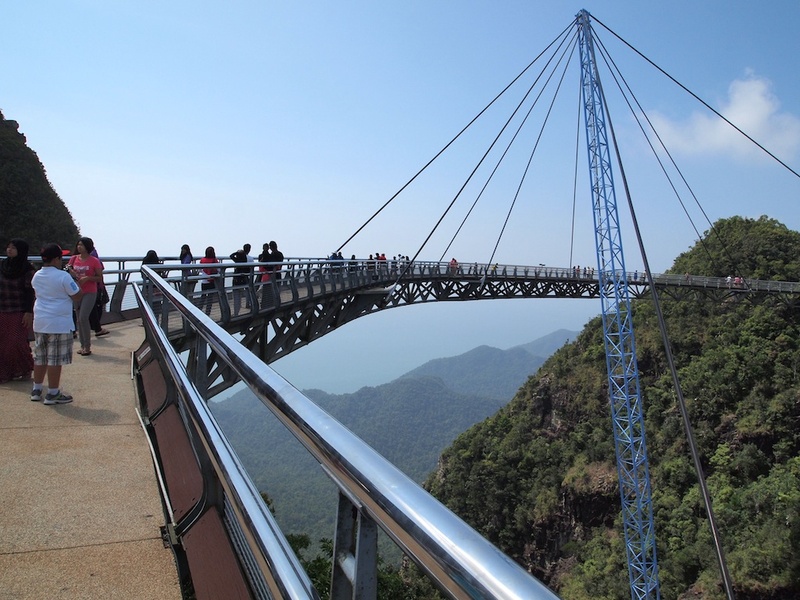 The Langkawi Sky Bridge is a curved pedestrian cable-stayed bridge built at the end of the Langkawi cable car station. The bridge is about 125 meters in length and around 700 meters above sea level. The bridge spans the top of the mountains, giving a vertigo-inducing view of the limestone cliffs and forests below it.